Dean, School of Business and Economics at University of Management and Technology (UMT) in Lahore Cities. University of Management and Technology is a Government Organization which requires employees for Administrative, Teaching, and Faculty Jobs in cities Lahore. 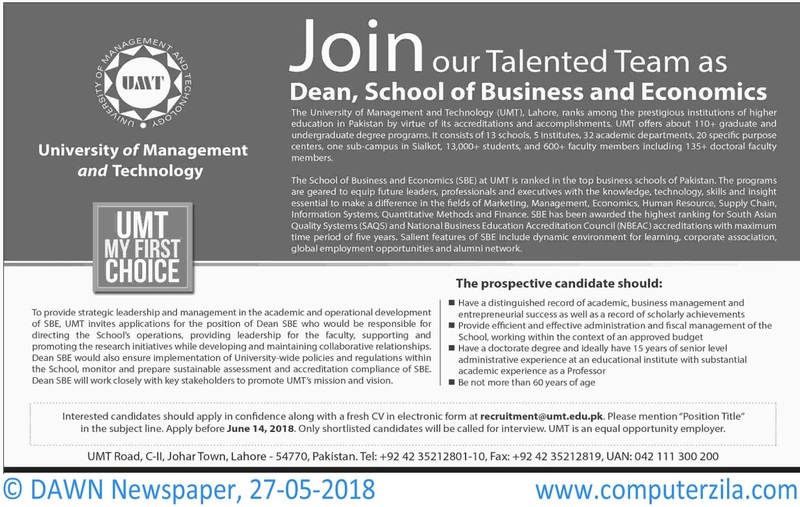 Join our Talented Team as Dean, School of Business and Economics The University of Management and Technology(UMT), Lahore. ranks among the prestigious of Higher Education in Pakistan.